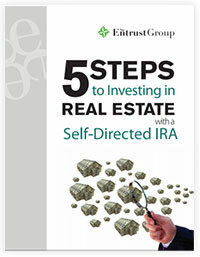 Real estate is one of the most popular asset choices among successful self-directed IRA investors. This step-by-step guide will help you gain a basic understanding of how to use an IRA to invest in real estate. Get your free copy of the report today! We focus on providing resources, such as this Report, to help educate investors in their responsibilities for self-direction. We believe that education is key to successful investing. Self-directed IRAs provide tremendous opportunities in growing an individual’s nest egg. IRA holders should do their own research before investing, and reports like this can help.